Hydrogenations complete in less than 10 min! Experience the benefits of using microwave energy for reactions that require gaseous reagents. 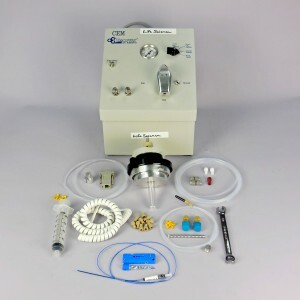 The Gas Addition accessory for the Discover line of microwave synthesizers allows the addition of non-corrosive gaseous reagents to reaction mixtures for a variety of applications including hydrogenations, carbonylations (hydroformylations), carbon-carbon couplings, reductive aminations, and more. The Gas Addition Accessory (Patented: US 7,955,479; EP1996539) offers significant improvement over standard hydrogenation techniques. Conventional hydrogenation techniques typically use a gas balloon connected to a reaction vessel syringe. The Gas Addition Accessory for the Discover microwave synthesizer allows for safe heating under higher gas pressure conditions which is beneficial for driving these reactions to completion. The use of a balloon is avoided and standard remote gas sources (tank, houseline) can be used which improves overall safety. Additionally, the microwave system is completely isolated from the source during the reaction. 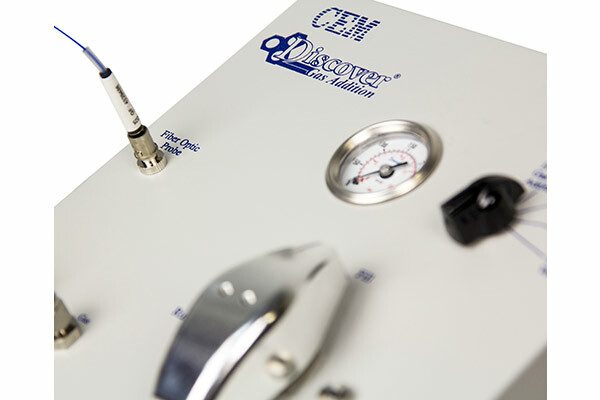 Monitoring of the pressure and temperature is performed at all times as the reaction takes place. Simply watch your gas consumption and re-charge as necessary. Discover accessory for hydrogenation, carbonylation, or formylation reactions.